For centuries, the mystery of Stonehenge has intrigued people not only in Britain but the world over. Archaeologists and scholars have puzzled over the ancient purpose of these massive stone pillars, but every time the truth about their neolithic builders seems near, a host of new questions unfolds. Who were these builders? What were they doing? Did the children of Stonehenge dance beneath the haunted moon? According to a new piece in BBC Travel, a coherent story about the popular tourist attraction may actually be coming together thanks to some recent research projects. Using underground radar and magnetic imaging techniques, the Stonehenge Hidden Landscape Project has discovered evidence of hundreds of other structures and monuments in the area surrounding Stonehenge, meaning this area held significance long before the iconic stone circle was erected. 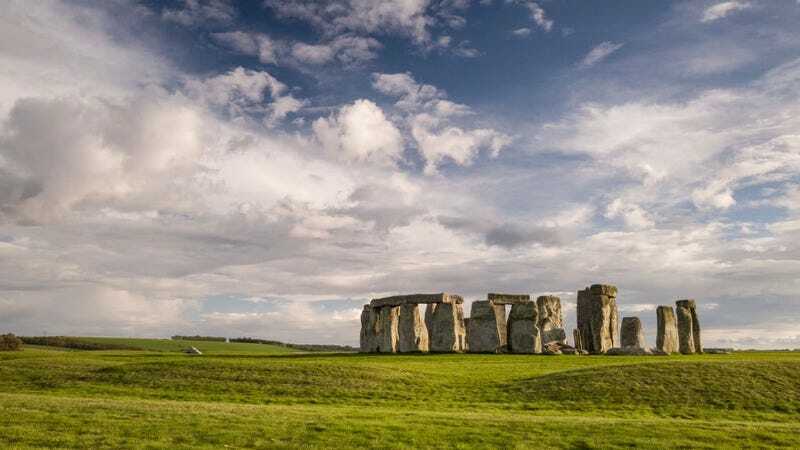 In fact, Stonehenge may be the link between various other monuments stretching all the way to Wales, acting as just one part of the religious or political processions of ancient Britons. Despite these technological advancements, many questions still remain about Stonehenge. Namely, how the hell did they build it? But for now we can be satisfied with the knowledge that we’re maybe sort of close to figuring out what these mysterious stones possibly could have been used for. Maybe.